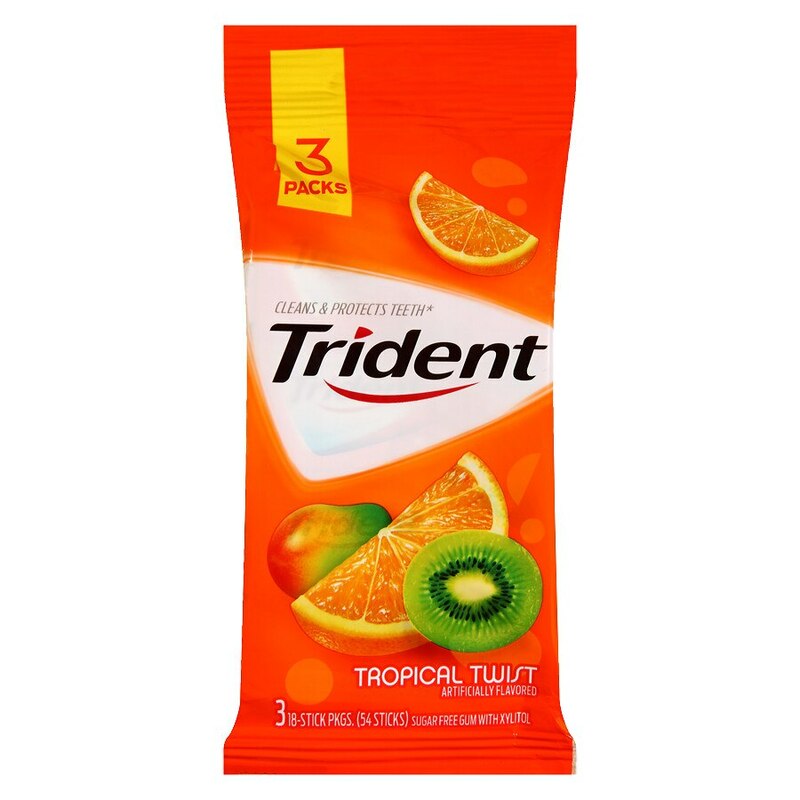 The ADA Council on Scientific Affairs' Acceptance of Trident is based on finding that the physical action of chewing Trident sugar-free gum for 20 minutes after eating, stimulates saliva flow, which helps prevent cavities by reducing plaque acids and strengthening teeth. 30% fewer calories than sugared gum. Calorie content of this size stick has been reduced from 5 to 3-1/2 calories.